Our top of the line HLD-1 Launcher, U.S.C.G. 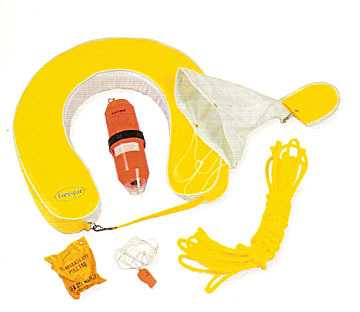 approved Horseshoe Buoy, Water Light, Drogue, Whistle, Dye Market and 45 ft. of polypropylene line. All components meet or exceed I.Y.R.U. and offshore standards (package does not include man-overboard pole).